SCM's Lean Robot Cell won the Product Innovation Award in Industry 4.0 Technology. Pictured are (l-r): Giuseppe Riva, SCM North America president; Mike Doucett, SCM field service engineer; Kory Ambrose, Edge Automation project manager; John Farrugia, Edge Automation programmer; John Park, SCM VP, Engineering; Sergio Casto, SCM applications manager; Luca Terranova, SCM project manager, engineering; Zack Chandler, SCM field service engineer; and Gerard Regier, Edge Automation, president. C.R. Onsrud's Osync Machine Analytics v2.0 won the Visionary Award for Product Innovation in Industry 4.0. C.R. Onsrud's Butch Morrison stands beside the winning product. Winner of the Productivity Award in Machinery Over $50,000 was the Dürr Ready2spray Paint Robot from Enhancement Technologies. Pictured by the winning product is Stiles Machinery President Christian Vollmer. Stiles distributes Durr equipment in the United States. The award for Productivity and Product Innovation in Power Tools went to the Shaper Origin by Shaper Tools Inc. Shown with the winning product is Joe Hebenstreit, CEO. The Product Innovation Award in Power Tools went to Apollo Sprayers for the Apollo TrueHVLPTM Precision-6 Turbo paint spray system. Pictured (l-r) are Don Varga, national sales manager, and John Darroch, president & CFO of Apollo Sprayers. The Product Innovation Award in Components went to Rev-A-Shelf LLC/Tresco Lighting for the Snap Panel Lighting system. Pictured near the winning product are (l-r) Michael Stubblefield, Western Lighting Business manager, and Chris Tress, director of Lighting for Tresco. Thomas May, Lockdowel director of sales, demonstrates the Lockdowel Snap on Drawer Slide. The product won the Visionary Award for Productivity in Hardware. Oneida Air Systems’ Universal Dust-Free Router Hood won the Visionary Award for Innovation in the General Product category. Pictured are (l-r) Rich Lawrence, product designer, and Robert Witter, president. The Product Innovation Award in Tooling went to Leitz Tooling Systems for its BrillianceCut Circular Saw Blade. Standing by the winning product are (l-r) Markus Schneider, product manager at Leitz GmbH, and Mark Alster, regional manager for Leitz Tooling Systems. Next Wave Automation's Virtual Vision 3D won the Visionary Award for Product Innovation in Software. President Tim Owens is shown next to the award-winning technology. The Visionary Award for Productivity in Machinery under $50,000 went to Laser Products Industries' LT-2D3D-C Laser Templator. Pictured by the winning technology is President Rich Katzmann. ANAHEIM − Twelve woodworking companies have earned Visionary Awards for new product innovation and leadership. 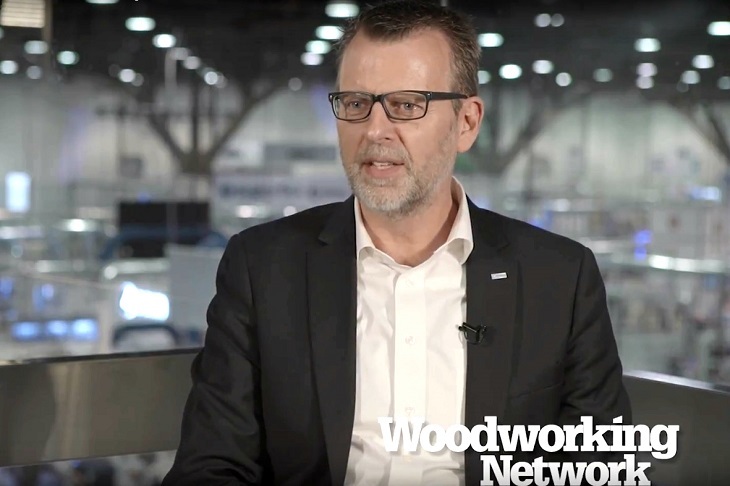 The Association of Woodworking & Furnishings Suppliers (AWFS) reissued its announcement after it realized a technical issue left two companies off the initial list of winners. The Visionary Awards were presented during the AWFS Fair. The biennial woodworking fair was held July 19-22 in Las Vegas, Nevada. The two products missing from the original announcement were: Productivity Award for Hardware - Lockdowel “Snap on” Drawer Slides by Lockdowel; and Product Innovation Award in Raw Materials - AKF with Rombex Technology by Uneeda. The Visionary New Product Awards recognize creativity and innovation as well as leadership in green/environmental product development. Entries are evaluated on quality, production impact, practicality, innovation and user-friendliness. Product Innovation Award in Industry 4.0: Osync Machine Analytics v2.0® by C. R. Onsrud. 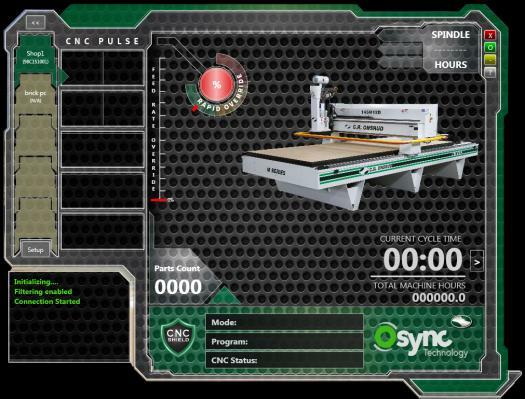 The company says the Osync Machine Analytics v2.0 provides production managers with real-time monitoring for their CNC machinery. The continual feedback allows minor adjustments to be made, shaving precious seconds off of run times and maximizing cutting performance. The C.R. Onsrud service and support team can also be plugged in for remote monitoring of machine functions off-site. Product Innovation Award in Industry 4.0 Technology: Lean Robot Cell by SCM. 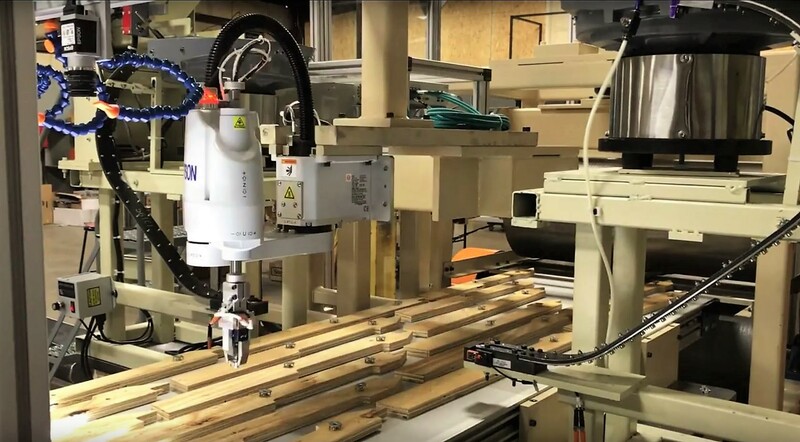 The company's Lean Robot Cell 4.0 takes Industry 4.0 concepts and puts them to practical use. The system is completely automated, served by two anthropomorphic robots and requires only one operator. 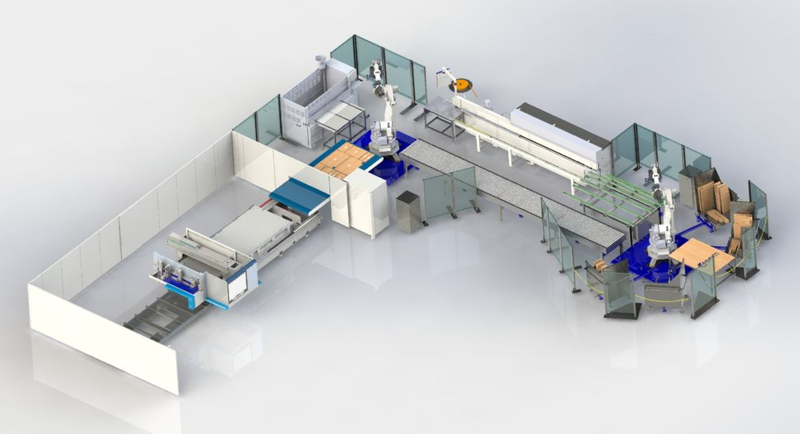 On display at AWFS, the Lean Robot Cell 4.0 produced components for wardrobes and consisted of a Morbidelli M600 nesting machining center and a Stefani edgebander, fitted with a panel return device and a drilling center. At the end of the process, the finished panels are grouped into their different order lots by robots on special carriages, ready to be assembled in the CPC clamp. Productivity Award in Machinery Over $50,000: Durr Ready2spray Paint Robot from Enhancement Technologies/Stiles Machinery Inc. 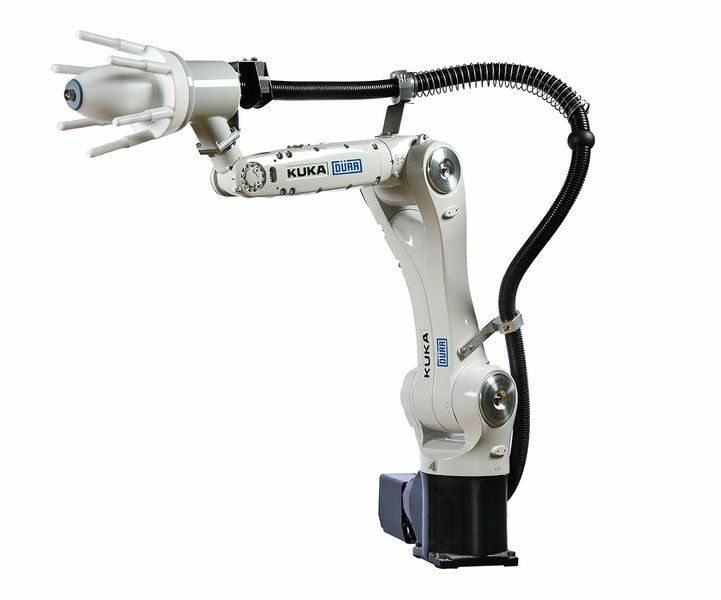 Designed for the wood, plastics, and metal industries, Durr's Ready2spray consists of a small six-axis robot equipped with high-end technology for the application of solvent- and water-based one- and two-component paints. It is available with matching dosing pumps, paint pressure regulators and color changers. 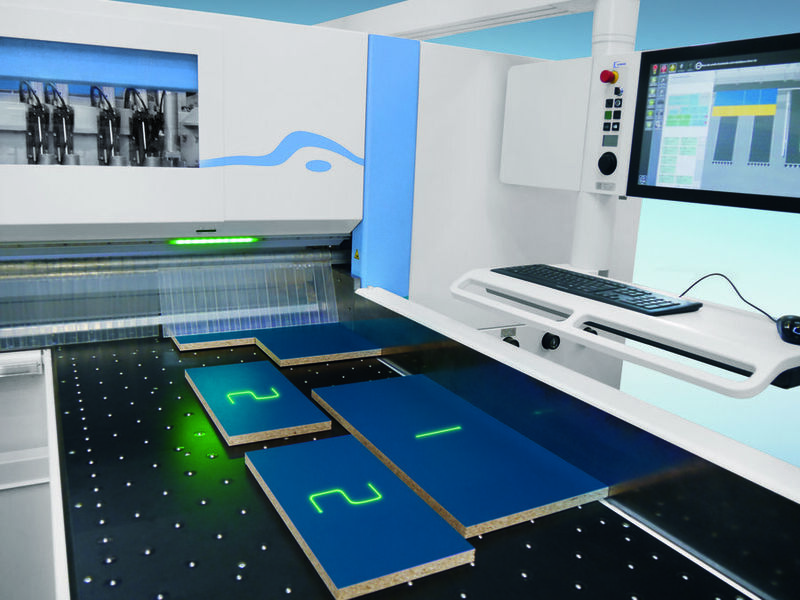 Dürr says the robot system is fully Industry 4.0-ready. Award for Productivity and Product Innovation in Power Tools: Shaper Origin by Shaper Tools Inc. 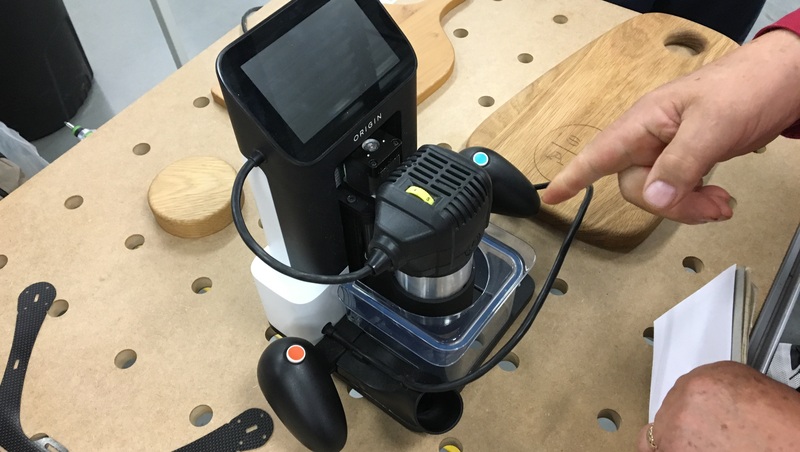 The Shaper Origin is a hand-held router that can be steered by a smart-phone sized guidance system. The user guides the router's cursor within a general guide shown on the display, and the system keeps the cutting head precisely on track, cutting even and consistent curves, engraving patterns and logos, and executing other cuts. Product Innovation Award in Power Tools: TrueHVLPTM Precision-6 Turbo Paint Spray System by Apollo Sprayers International Inc. 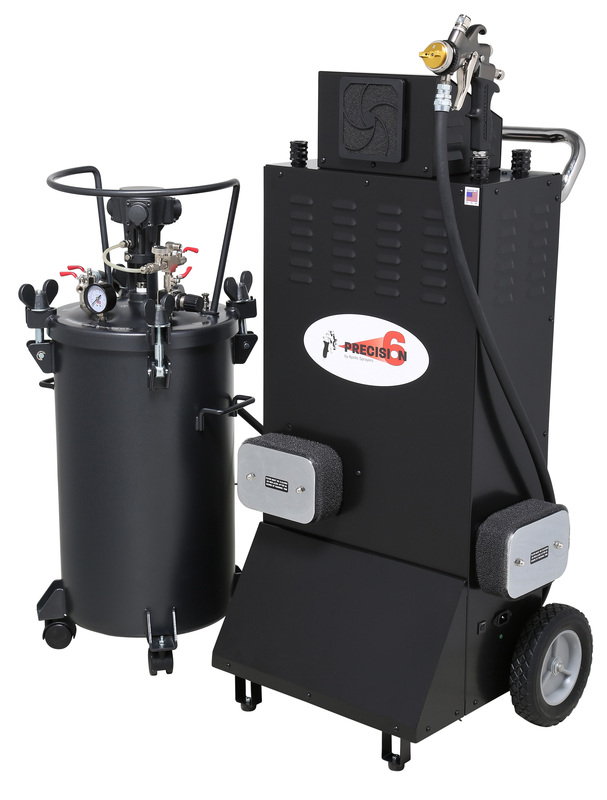 The company says the Precision-6 uses patented Power Boost Technology to provide the highest available output pressure (30% more PSI than a 5-stage) for a wide range of paints and coatings. Key benefits of the spray system include low overspray with 80+% or better transfer efficiency, simplicity of use, and easy cleanup and maintenance. Product Innovation Award in Components: Snap Panel Lighting from Tresco Lighting/Rev-A-Shelf LLC. 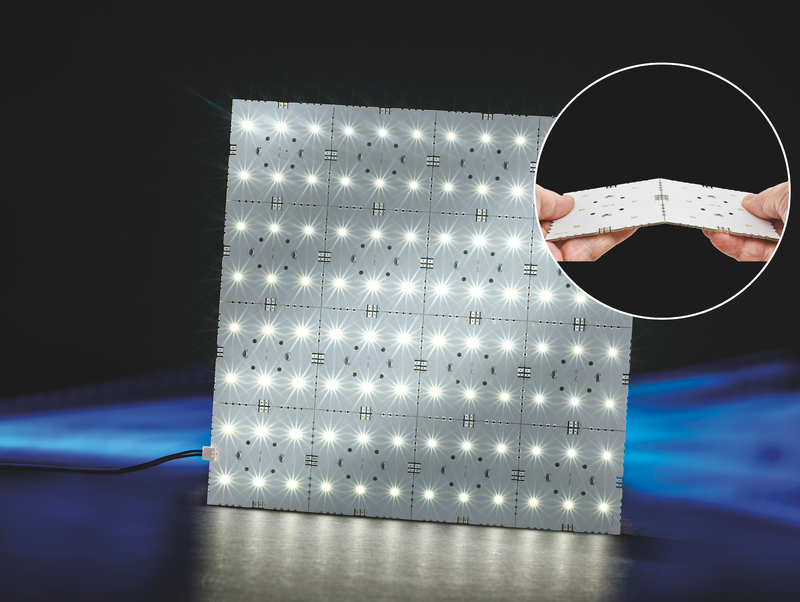 Sold in 12 x 12-inch squares, the thin Snap Panel Lighting system can be “snapped” down to 3 x 3-inch squares and connected back-to-back, or via jumper cords, to create any custom shape. The Snap Panel system’s customization combined with high light intensity and a multitude of color temperatures can provide any backlighting application that requires a uniform light output, the company says. Productivity Award in Hardware: “Snap on” Drawer Slides from Lockdowel. Lockdowel says its "Snap on" Drawer Slides significantly reduce cabinet drawer installation time and costs. Featuring the company's signature E-clips fastening technology, the system allows users to quickly and easily install drawer slides for complete tool-less installation. 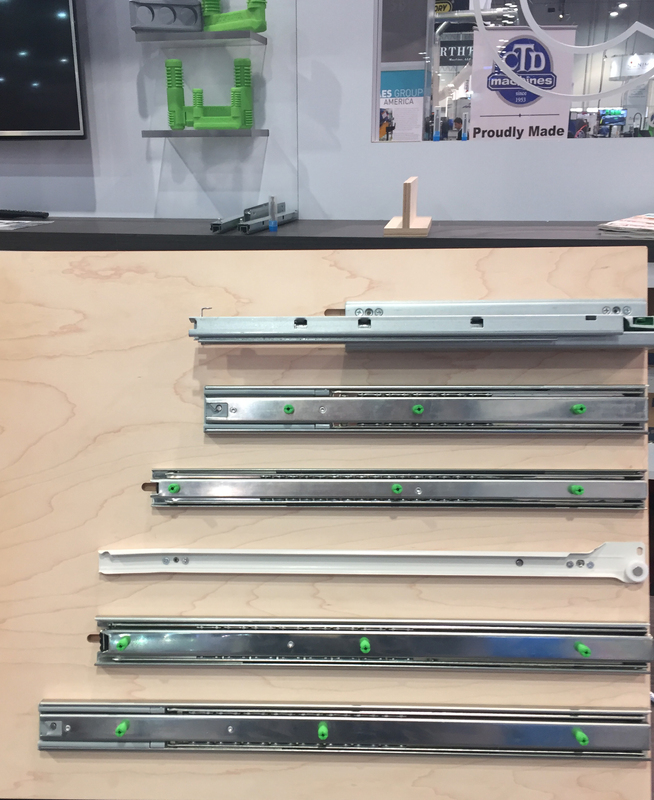 Lockdowel adds the slides passed ANSI/BIFMA testing and demonstrated that drawer face and drawer box installation could be completed and perfectly aligned in less than 3 minutes with no tools. Product Innovation Award in General Product Category: Universal Dust-Free Router Hood by Oneida Air Systems. The company says the Universal Dust-Free Router Hood captures nearly all of the dust, chips, and shavings produced by portable routers - allowing for a virtually dust-free routing experience. Made from clear polycarbonate, the router hood features a universal base plate, as well as both an upper dust dome and lower chip cover which fully encapsulate the router bit. The dome and chip cover freely rotate as the router moves - capturing dust from above and below the routed edge simultaneously. 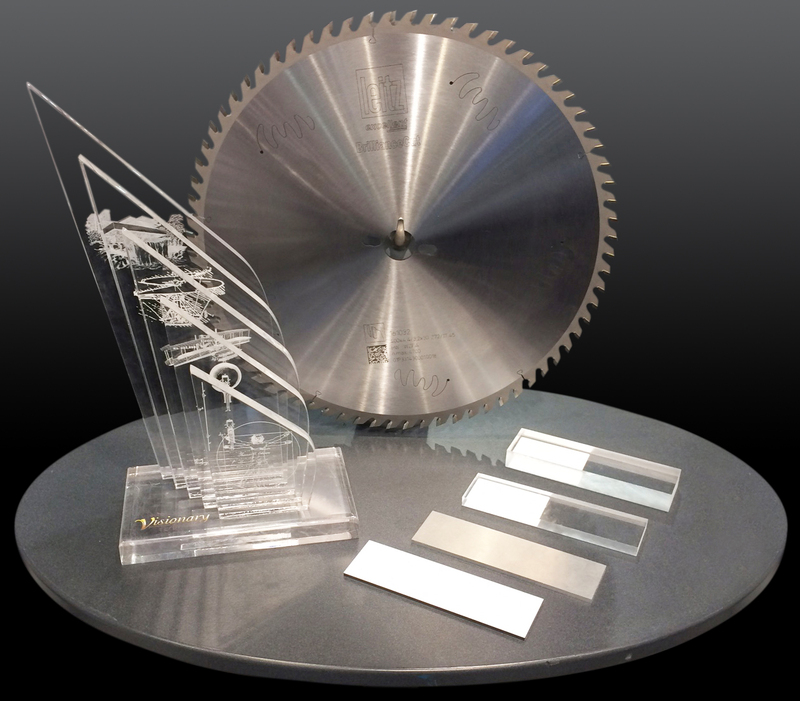 Product Innovation Award in Tooling: BrillianceCut Circular Saw Blade by Leitz Tooling Systems. The company says its new BrillianceCut blades eliminate the need for grinding or polishing of acrylic glass (PMMA), polycarbonate panels, and other plastics and compound materials. The BrillianceCut circular saw blades are available from stock with diameters of 303, 350, 380, 400 and 450 mm for all standard panel sizing sawing machines. Product Innovation Award in Software: Virtual Vision 3D by Next Wave Automation. The company says the Virtual Vision 3D is an advanced scanner controllable by a smart phone or computer. 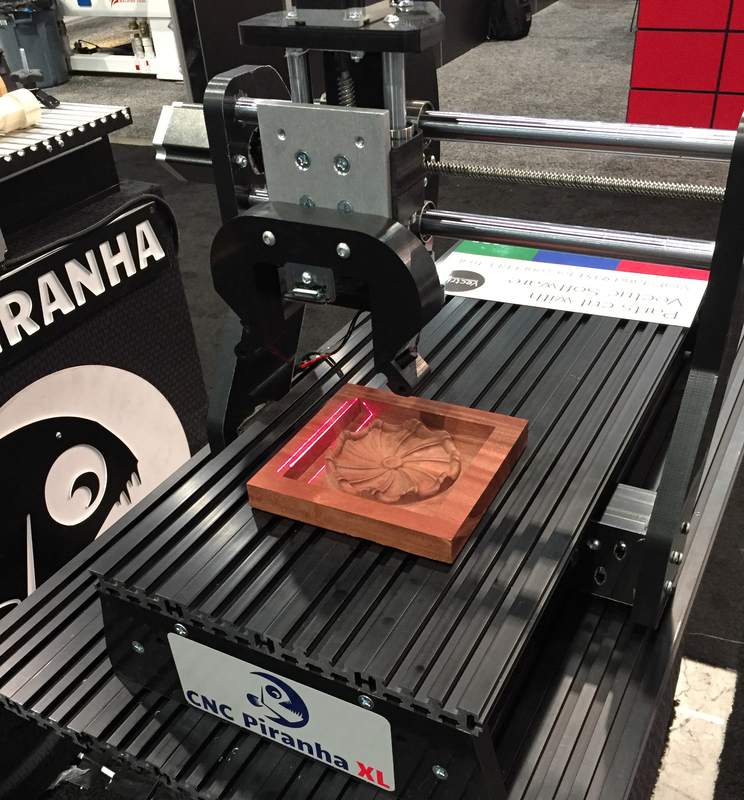 The device fits all CNC Shark and Piranha models and offers full-bed scanning capability. Product Innovation Award in Raw Materials: AKF with Rombex Technology by Uneeda. 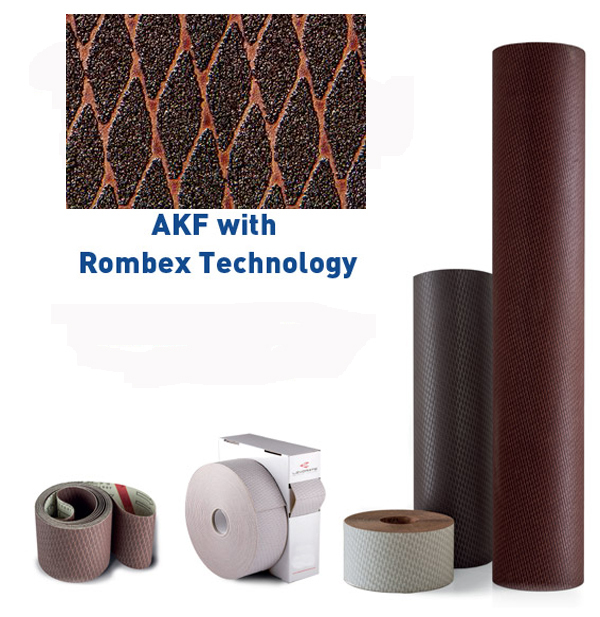 The AKF material features a unique rhomboidal coated pattern that allows for increased dust extraction while dispersing heat from friction more evenly and efficiently. Uneeda reports AKF delivers a longer lifespan compared to conventional abrasives, which translates into longer machining time and fewer line stops to replace worn materials. Productivity Award in Machinery under $50,000: LT-2D3D-C Laser Templator by Laser Products Industries. 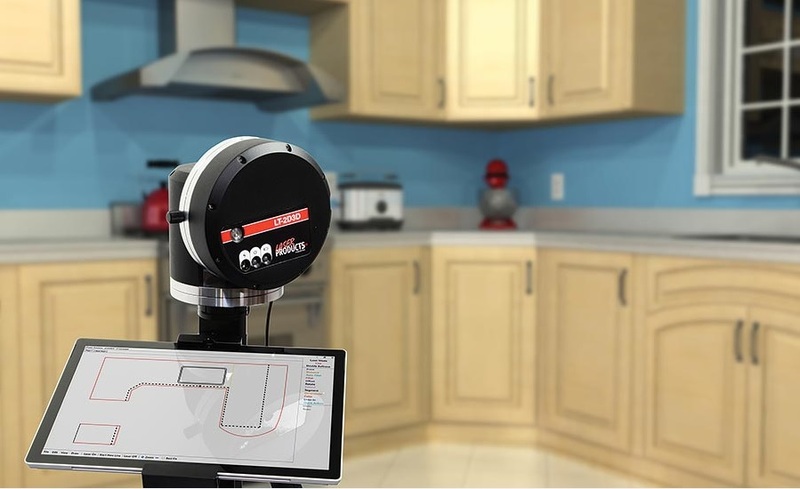 Using TemplatePro software, the LT-2D3D laser templator captures measurements and renders them in 3-dimensions, then exports information directly to Cabinet Vision, 2020, Microvellum and ProKitchen software design applications. The new LT-2D3D includes a more efficient battery system, allowing up to 50 hours of templating before needing to be recharged. The Visionary Awards were presented in a special ceremony on July 21 at the AWFS Fair. Drawing thousands of woodworking professionals the AWFS Fair included more than 675 exhibits by manufacturers and distributors of machinery, hardware, lumber, construction materials and other suppliers to the furniture, cabinet manufacturers and custom woodworkers. For more information on AWFS Fair or the Visionary Awards, visit AWFSFair.org.